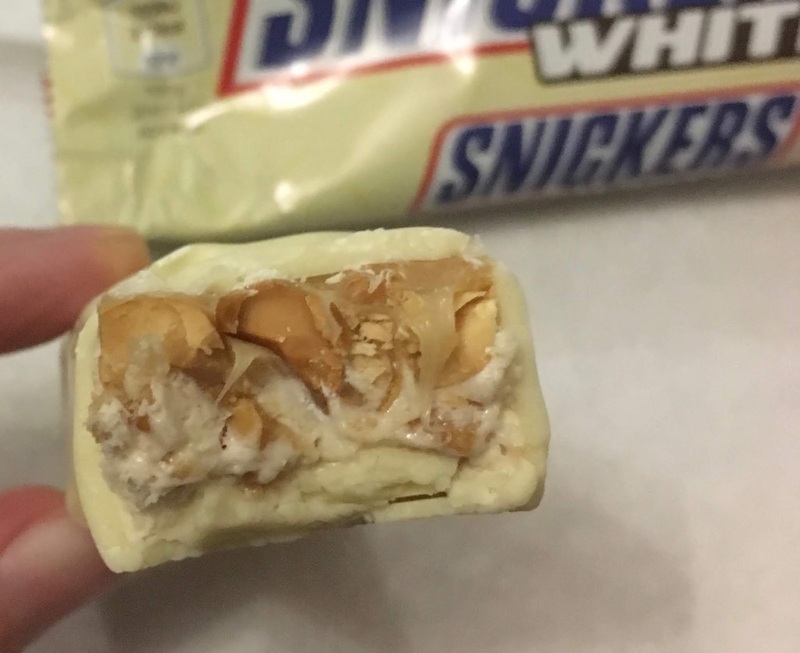 The bar has quite a pale chocolate colour, but the white chocolate on the Snickers is still quite thick. I gave it the taste test and found it to still be a very substantial bar. The white chocolate is sweet, but it adds a lovely creaminess to the Snickers, that works with the peanuts and caramel. The peanut is still the dominant flavour, as it should be, but that touch of saltiness with the white chocolate adds a new level to the sweet and savoury mix that I thoroughly enjoyed. I have to say I am glad I bought two of these bars because this combination works ever so well, it is one to try even if you aren’t that much of a white chocolate fan just because the creamy sweetness of the chocolate goes so well with nuts that it isn’t too strong at all. I hope this bar hangs around for a while, and that the trend for white chocolate continues. 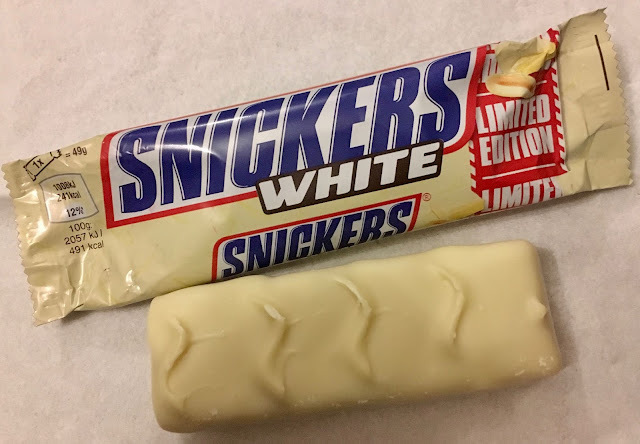 My next white chocolate item to search for is the new Limited Edition White Twix, I can’t wait!